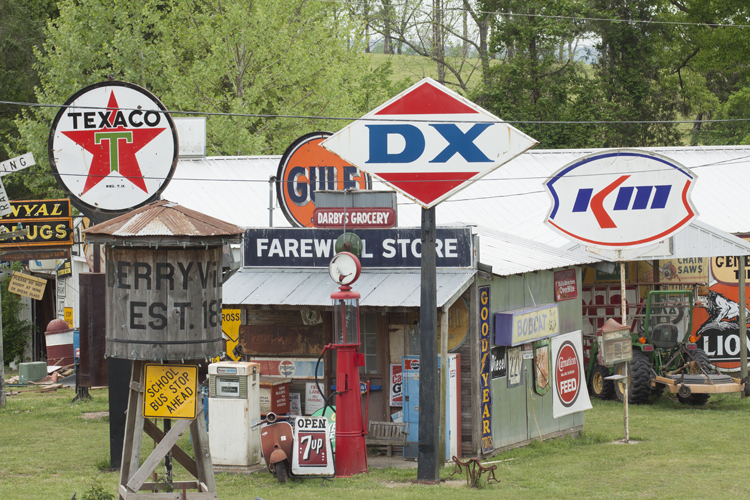 Scenes from the past and present in and around Berryville, Arkansas, a town of 5,600 residents located in Northwest Arkansas — and a city proud of its small-town values and down-home charm — a place where history meets progress! 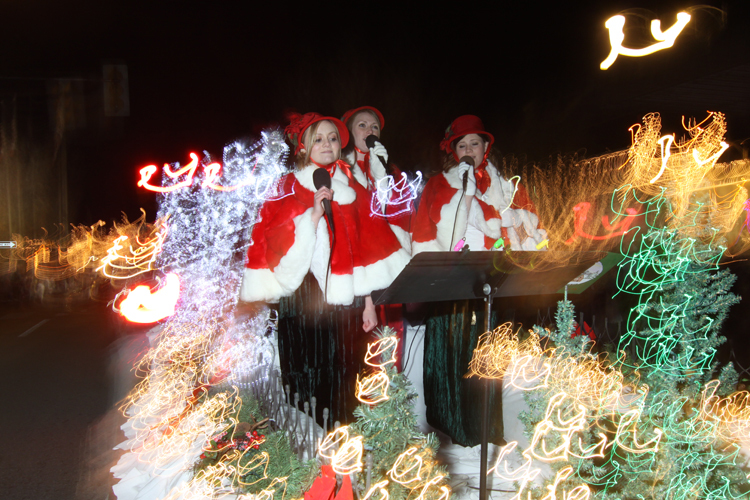 Click on any photo below to view it full size, then click the forward button to browse through our photo album. 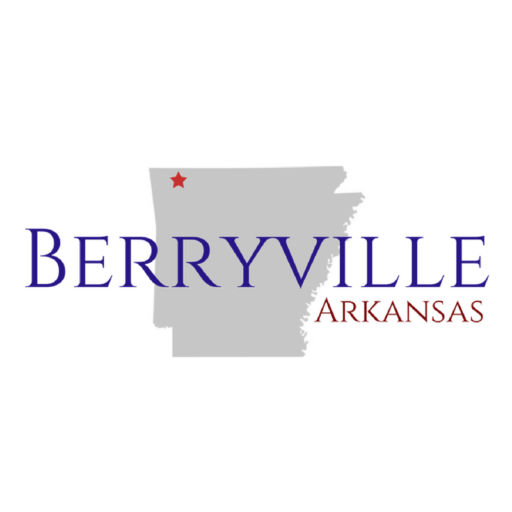 Thank you for visiting the official Berryville, Arkansas website. 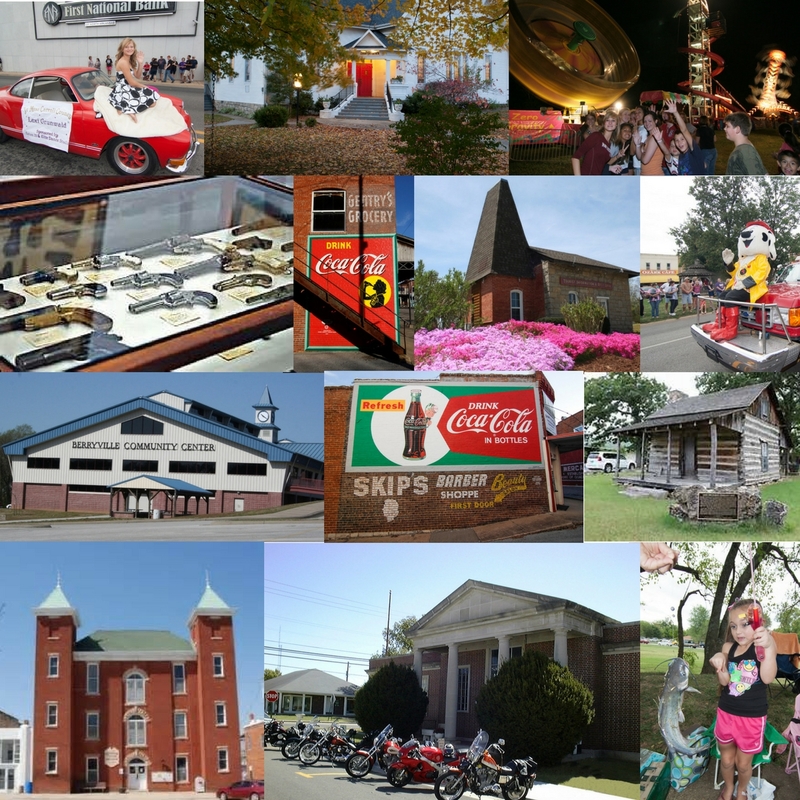 Click here to discover fun things to do in Berryville, Arkansas. 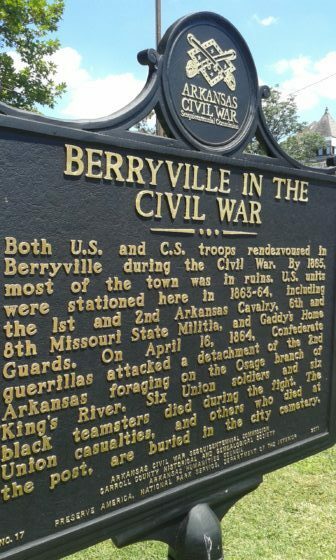 Explore The Best of Berryville, Arkansas -- Where History Meets Progress! A city proud of its small-town values and down-home charm ... on a sound plan for growth while preserving its sense of community, protecting its rich history. This historic City Hall building houses city offices and serves as home to City Council meets twice a month. 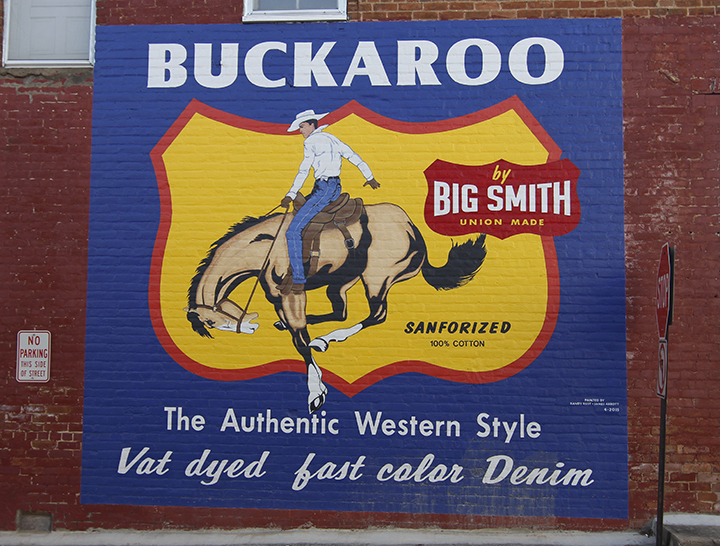 Vintage advertising artwork decorates downtown commercial buildings just like in days past, drawing tourists and locals alike to the Berryville Historic Public Square. 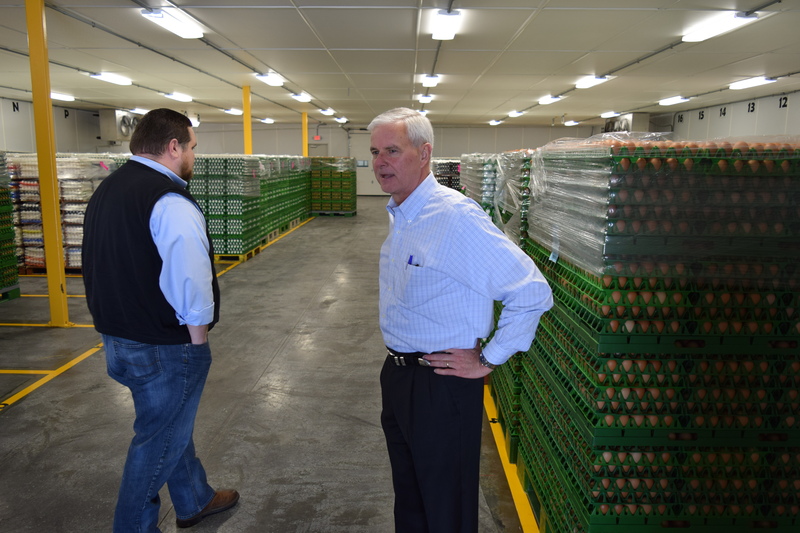 Congressman Steve Womack tours industrial facility in Berryville during recent visit to the town which is in his 3rd Congressional District. 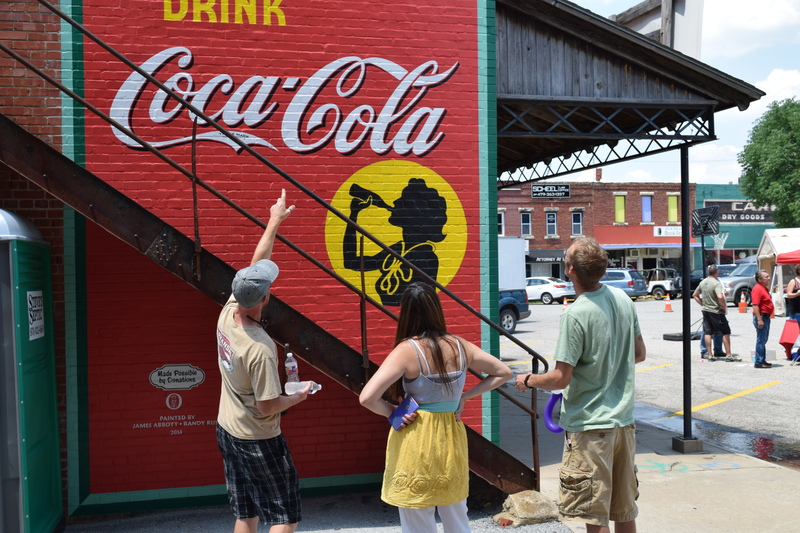 A city beautification group was formed by local citizens and artists to help restore the luster to local downtown Berryville outdoor vintage advertising signs. 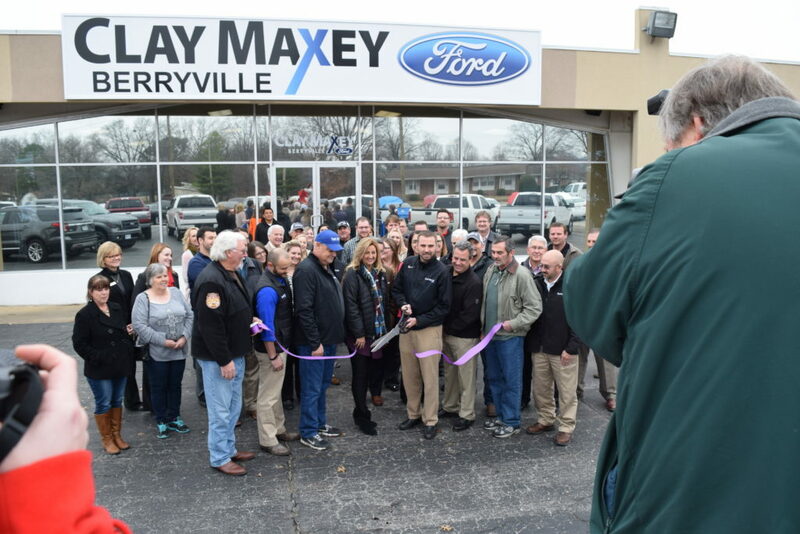 Berryville's local Chamber of Commerce enjoys broad support in the local business community, and serves as the city hub for growth and economic development not only in the city but in the surrounding area across Carroll County as well. 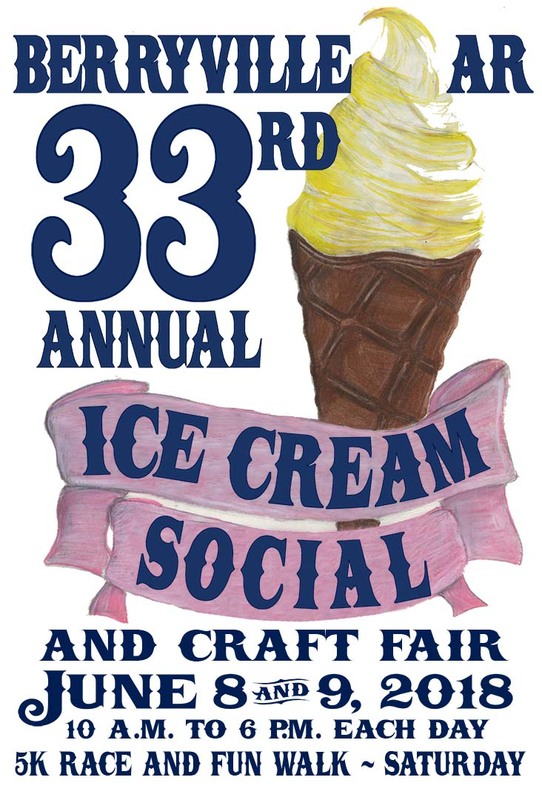 Locals love to attend the parades and events on the historic downtown public square in Berryville, and citywide parties like the upcoming 33rd-Annual Ice Cream Social are ways to bring the community together all through the year. 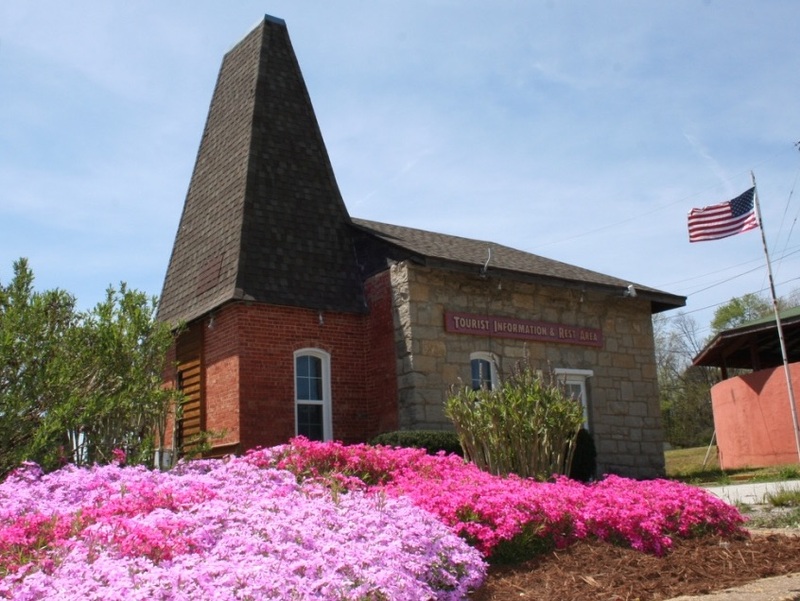 Stop by the Greater Berryville Area Chamber of Commerce Welcome Center in Berryville to learn more about great things to do in and around the city, plus free maps and brochures to make your visit to Northwest Arkansas the best ever. 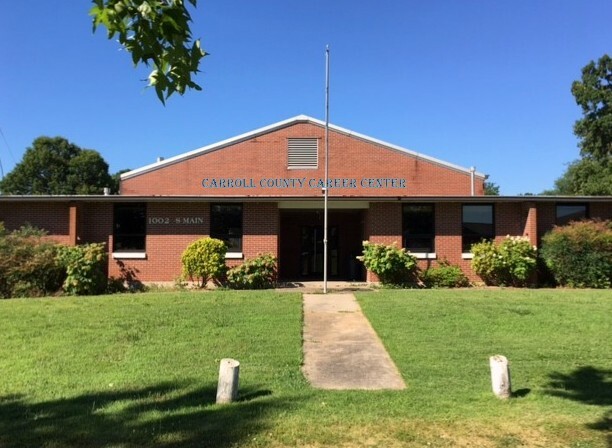 A facility which once served as a National Guard Armory finds a new purpose now as site of a high school career education building in the town, providing real-world training to students from across Carroll County. 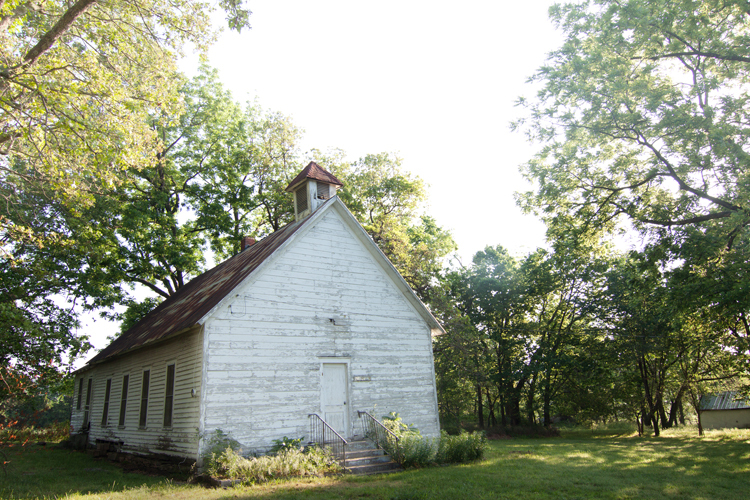 Structures like this old church still standing just outside Berryville stave off the ravages of time owing to the tremendous TLC from volunteers who work diligently to preserve historic landmarks. 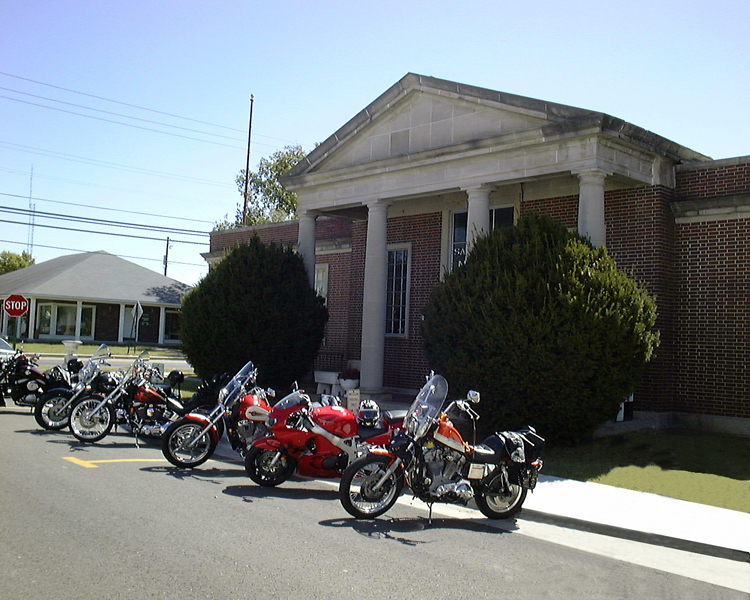 Bike riders, locals, and tourists to Berryville enjoy all the unique items on display at this one-of-a-kind museum just north of the Historic Berryville Public Square. Youth and adults participate in a whole host of events held in the city every year, thus creating a sense of togetherness in a family-friendly setting. It's always a good time for a BBQ... especially when friends and family get together for special occasions. 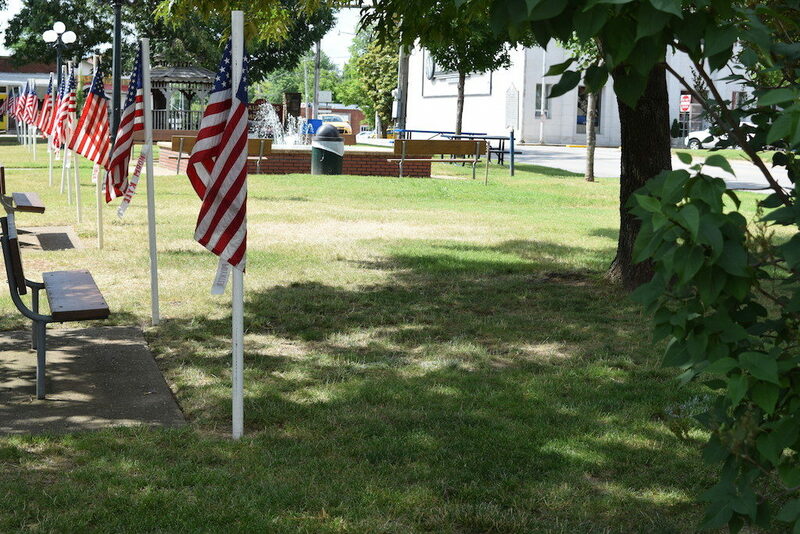 The town is keen to display Old Glory on the Historic Berryville Public Square when holidays come around. 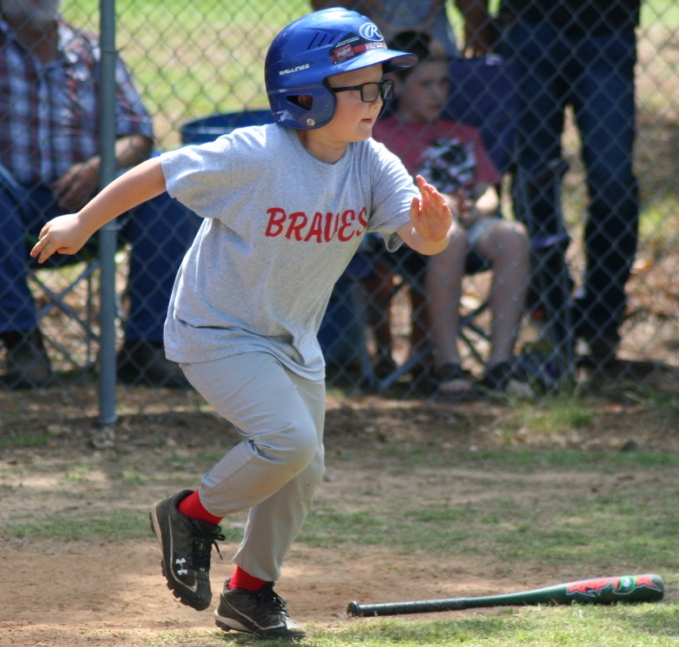 Citizens love to live, work and play in this North Arkansas town. 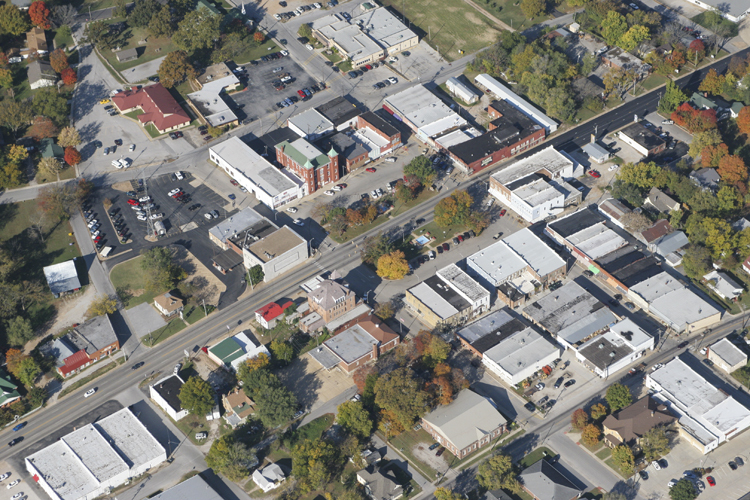 Here's an aerial photograph from high above the town's downtown square. 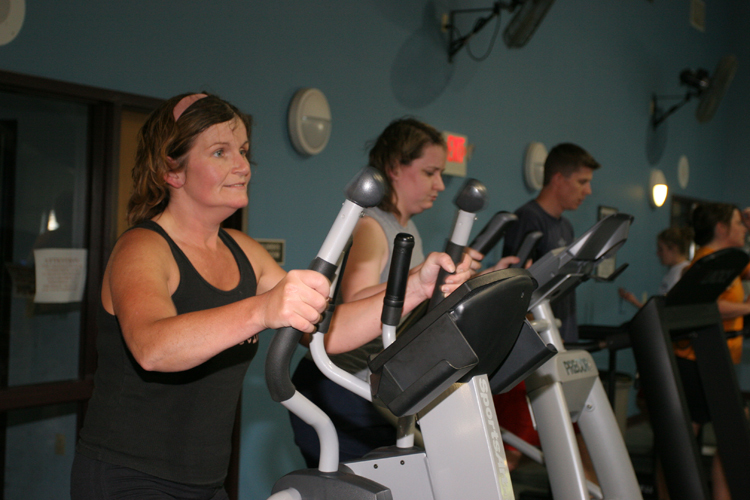 The Berryville Community Center is operated by the city's Parks Department, and offers a wide range of physical fitness opportunities, classes, special events, and an indoor pool for local residents. 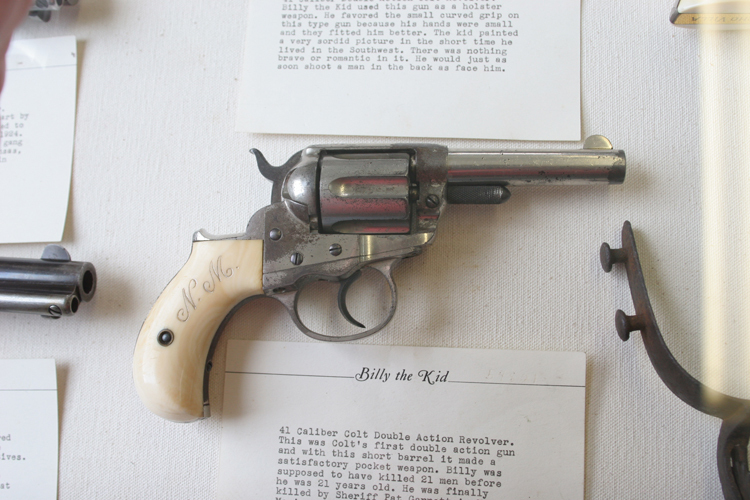 Valuable handguns, like the pictured gun once owned by Billy The Kid, are on display for visitors to The Saunders Museum, a couple blocks north of the Historic Berryville Public Square. Saunders Museum employees work hard to re-capture a bygone era with unique displays that tell stories of the town's past inhabitants. This historical marker on the city's downtown public square commemorates a sad day back in April 1864, when Union Forces were attacked by Confederate Soldiers. 6 Union Soldiers and 6 black teamsters died and were laid to rest in the Berryville Memorial Cemetery. By the end of The Civil War the town was reportedly in ruins from deadly battles in the Ozarks. 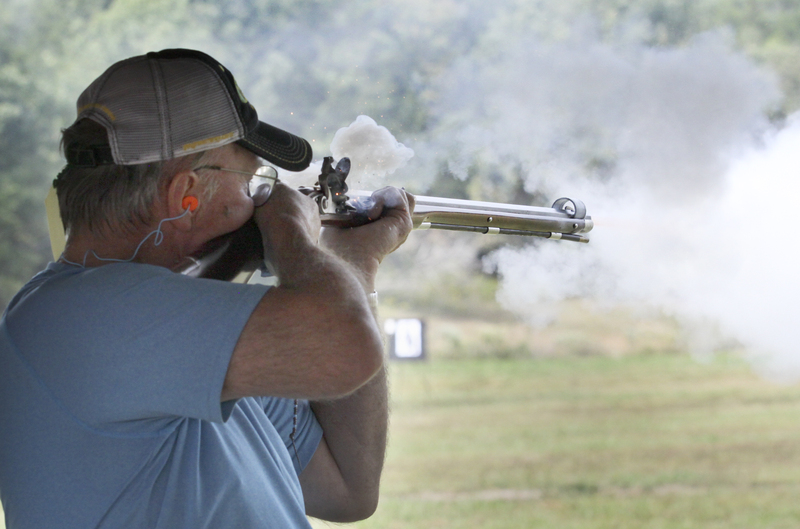 The Luther Owens Memorial Gun Range is home to a number of annual events, as well as serving as a gun range for local residents. 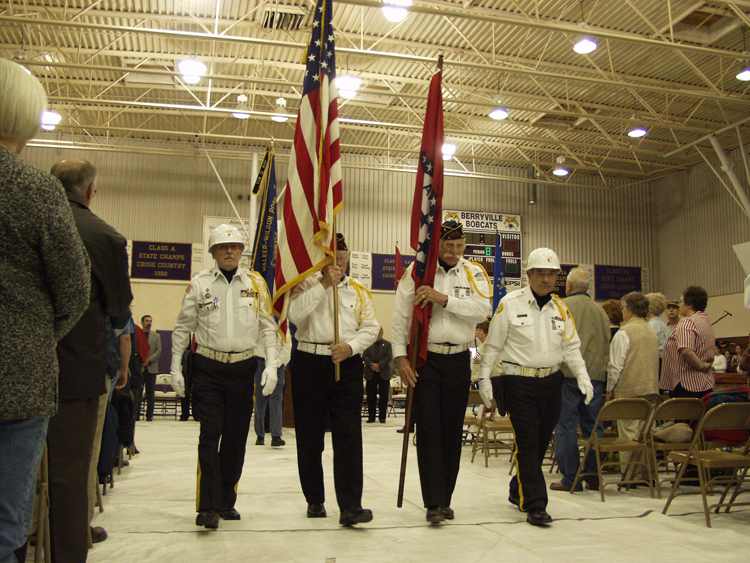 Honor Guards show respect for Old Glory and veterans who have served in the past as well as those who wear the uniform today. 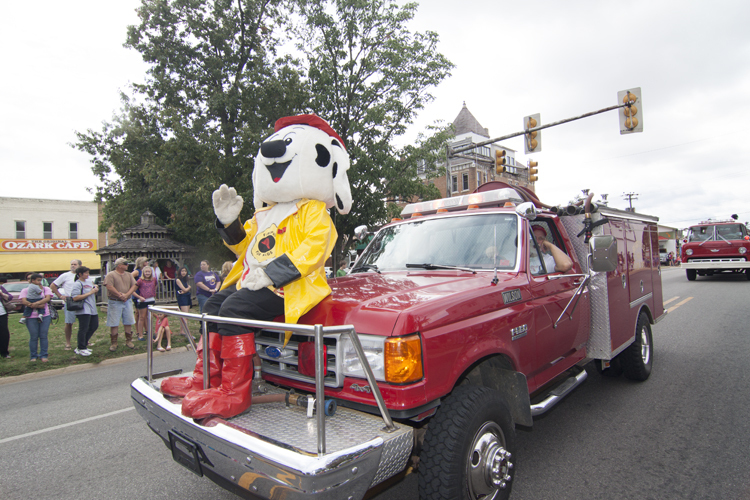 Vintage firetruck preserved and operated by the Volunteer Berryville Fire Department lead a parade through downtown Berryville delights the hometown crowd. 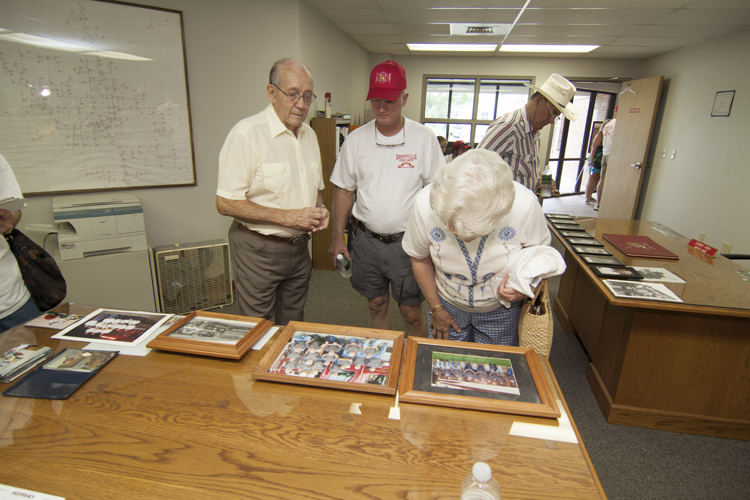 Visitors to the Heritage Center Museum on the Historic Berryville Public Square study relics and photographs documenting the town's past. 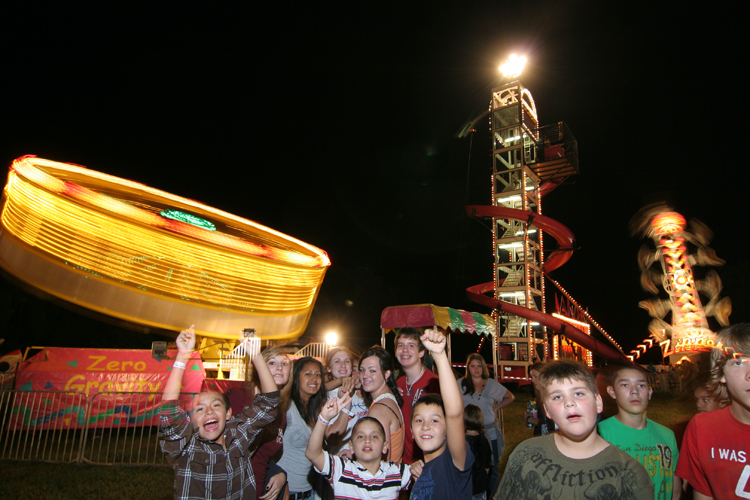 The end of summer brings life back to the Carroll County Fairgrounds, and the whole town celebrates with carnival rides, live music, arts and crafts fairs, rodeo events and more. 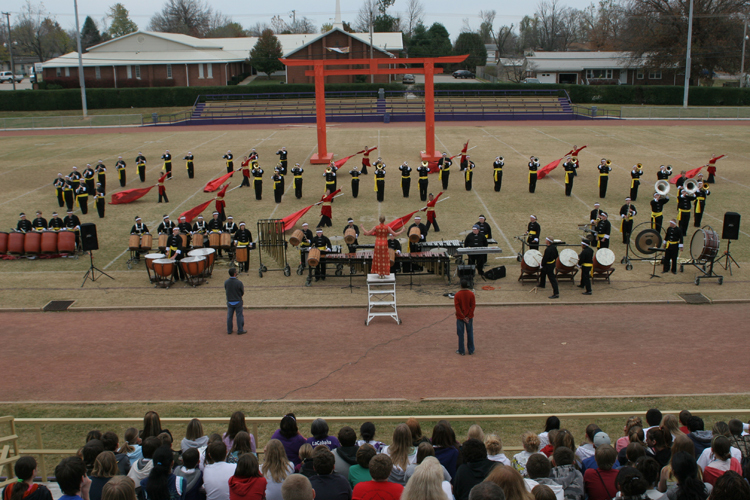 The award-winning Berryville High School Band performs at a multitude of school events and at other venues throughout the region. 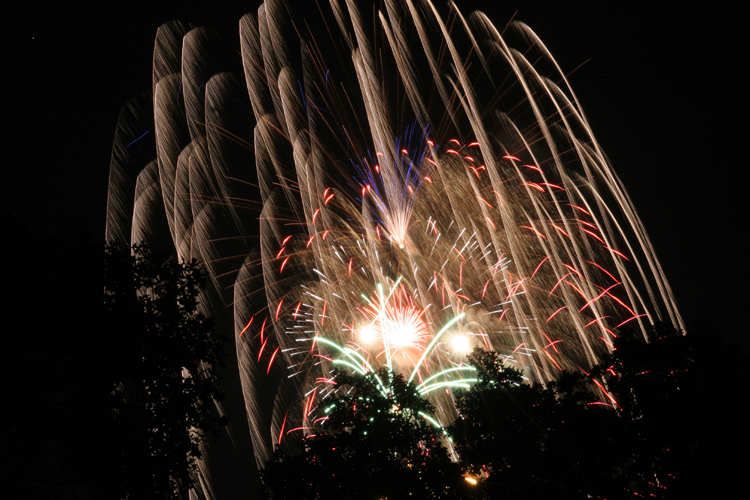 From high above Berryville a dazzling fireworks display comes alive in the night sky from atop mountain. 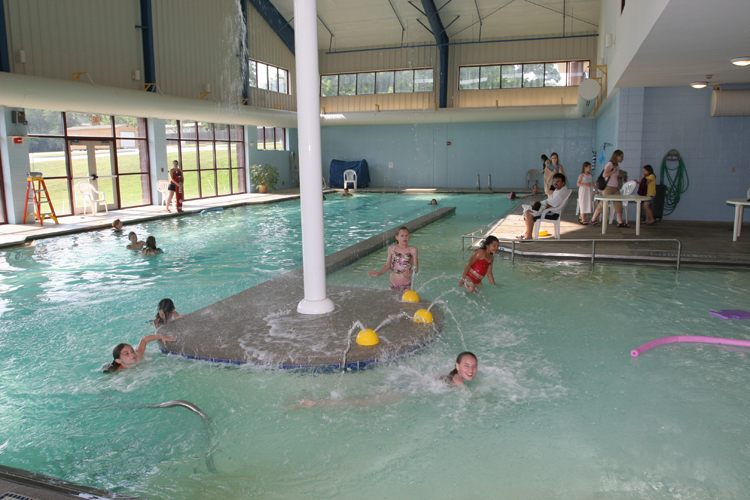 This world-class community center is the hub of the social life in Berryville. 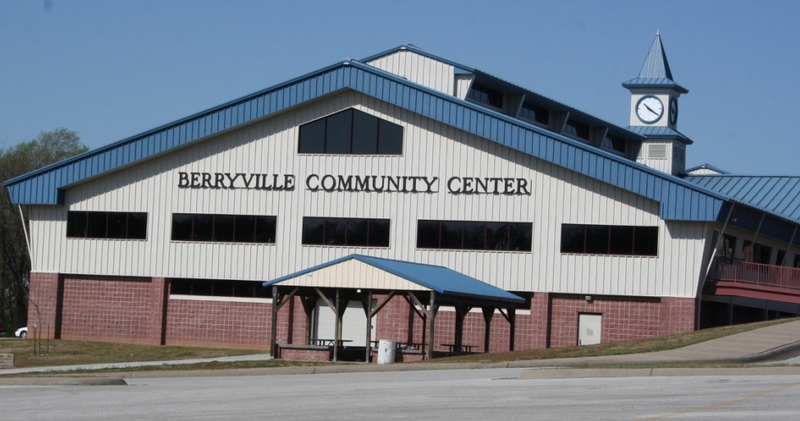 Ftiness center, indoor walking track, indoor pool, educational classes, a new community garden and new playground for the kids, the Berryville Community Center serves all residents of the local area. 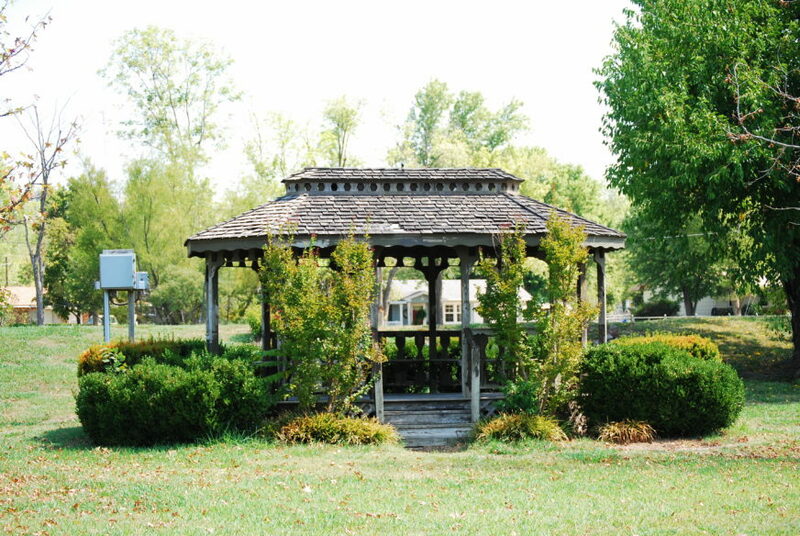 Gazebo welcomes visitors to the quiet sanctuary called George's Pond in Berryville, Arkansas. 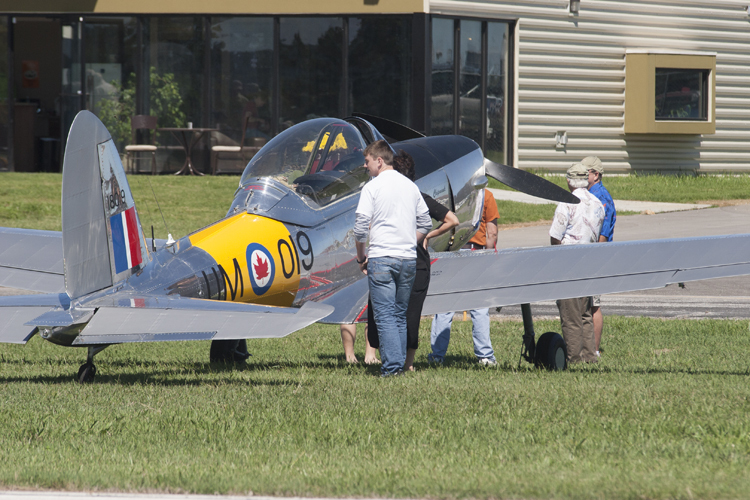 The Carroll County Airport is site of a popular vintage aircraft fly-in show each year, where fans can get an up close and personal view of these restored aircraft. Agriculture has always been a major economic driver in the Greater Berryville Area. At one point in Berryville's history it was dubbed "The Turkey Capital of the World." 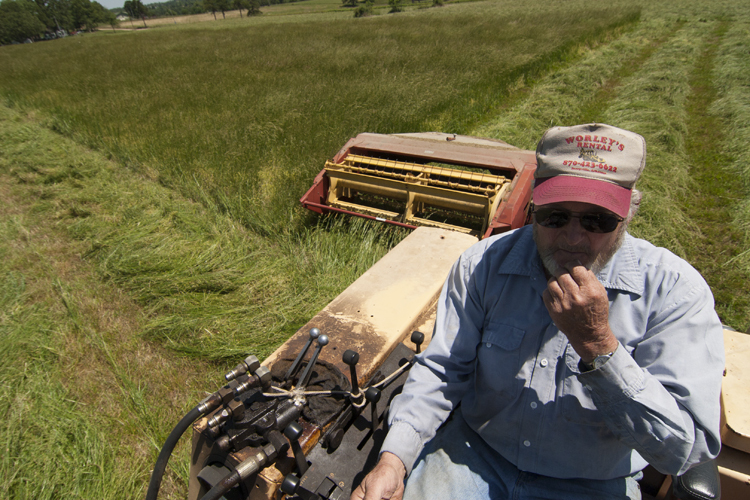 Today agriculture remains a major industry while the city's Industrial Park and new businesses make impressive gains. 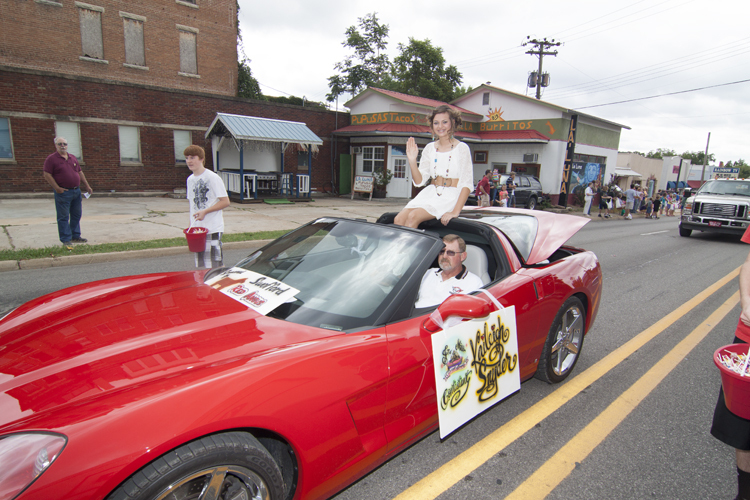 Berryville is still fond of its parades throughout the year, circling the Historic Berryville Public Square to cheering onlookers. 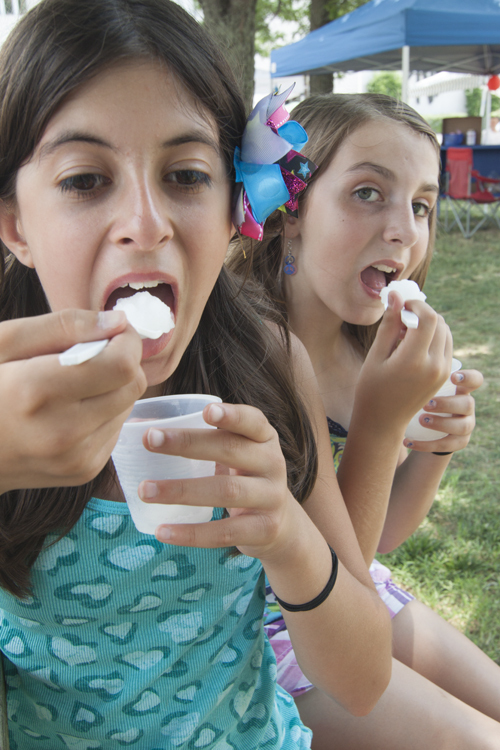 The Ice Cream Social is a time for families to celebrate summer. 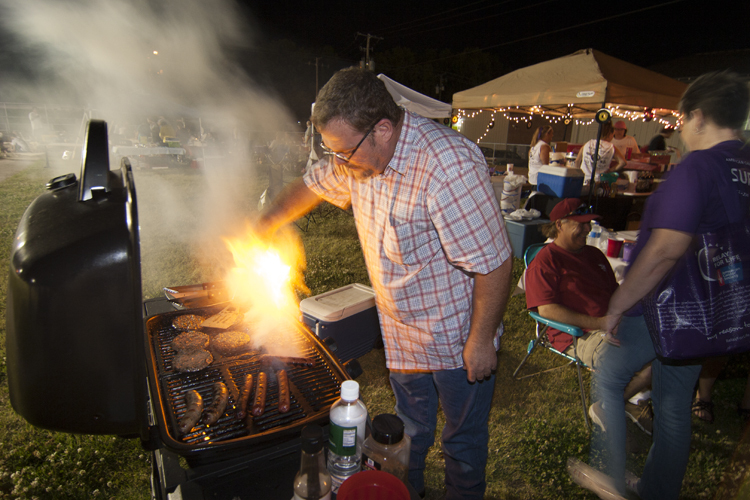 The Greater Berryville Area Chamber of Commerce hosts this year's 33rd-Annual event June 8th & 9th. 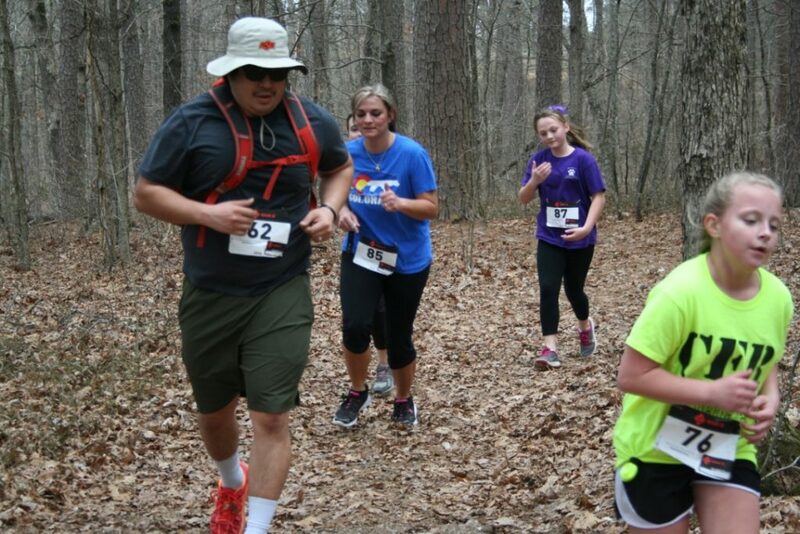 These new trails are free and open year round. You can hike or ride at Berryville’s Pension Mountain-Johnson Spring Trails which are located atop Pension Mountain, just 6 miles south of Berryville, on County Road 501. 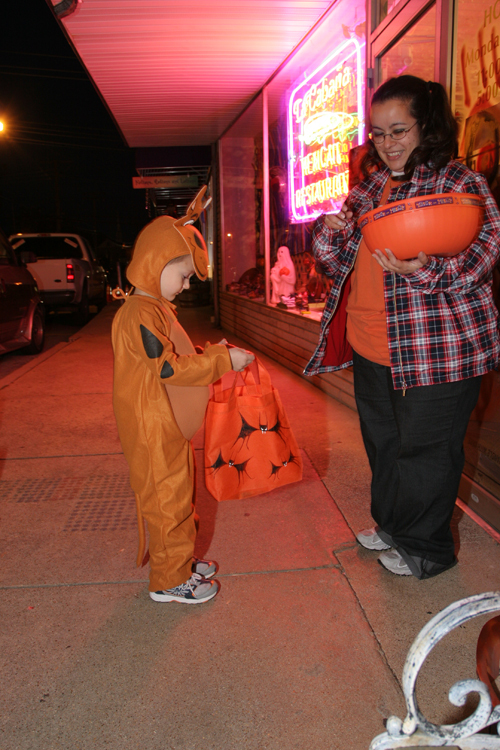 It's a place for a fun 'Trick-Or-Treatin' time in a safe, friendly atmosphere around the Historic Berryville Public Square. 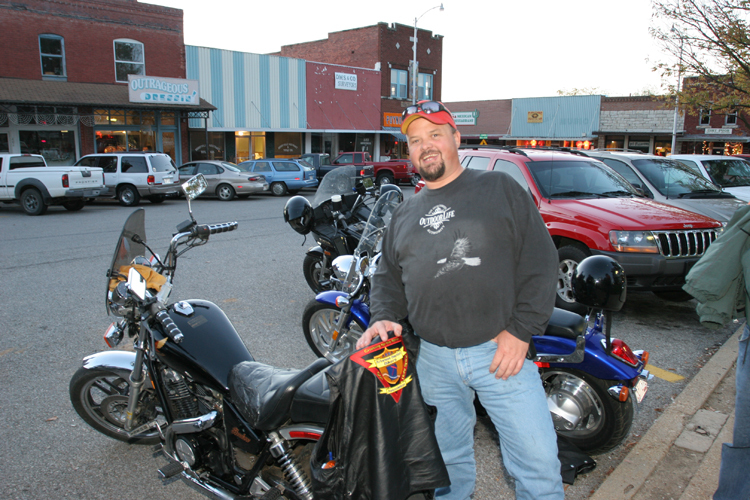 The lure of the quaint downtown Berryville now brings a growing number of motorcycle riders to visit the city. 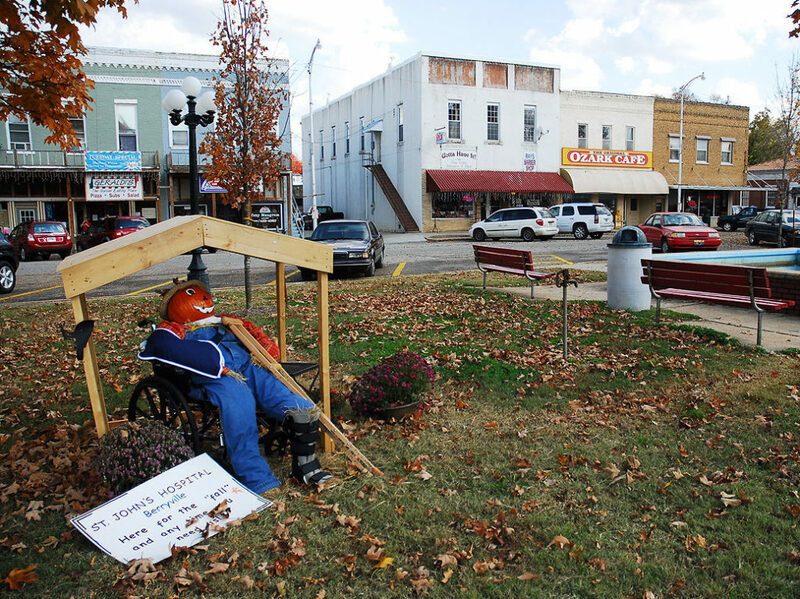 A good place to stop and sit for awhile, and enjoy the the flavor of a vibrant village in the Ozark Mountains. 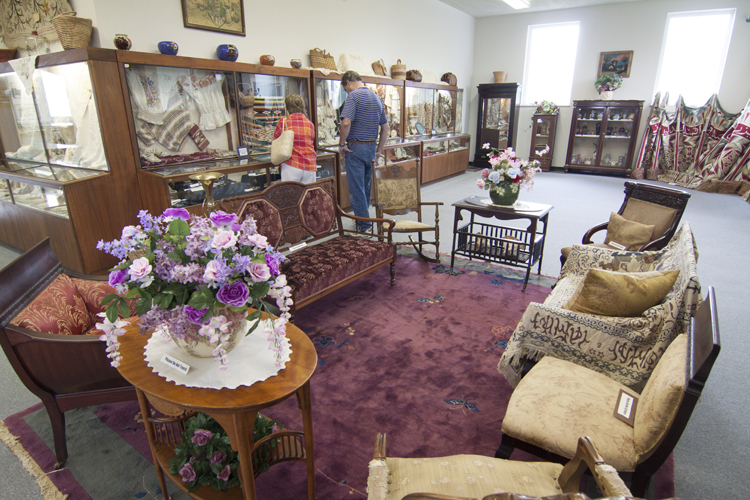 Take a trip back in time by visiting this private museum put together over years of collecting by a local resident, and relive your the images and advertisements you remember from your youth. 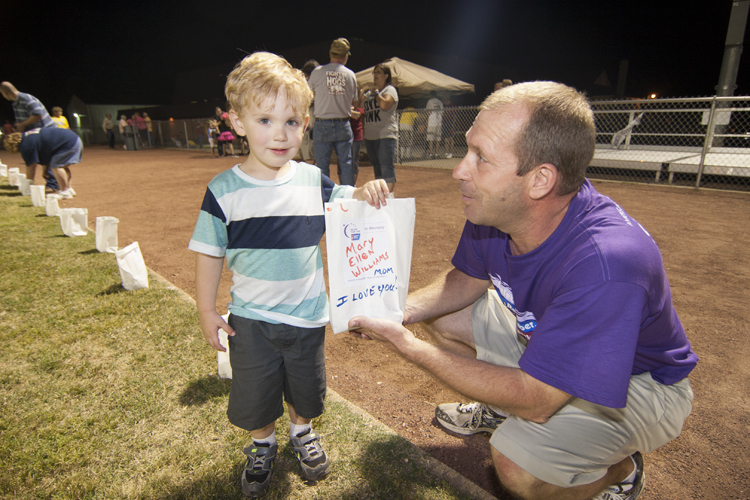 Local Festivals and Special Events Are Times For Kids of All Ages To Have Some Fun! 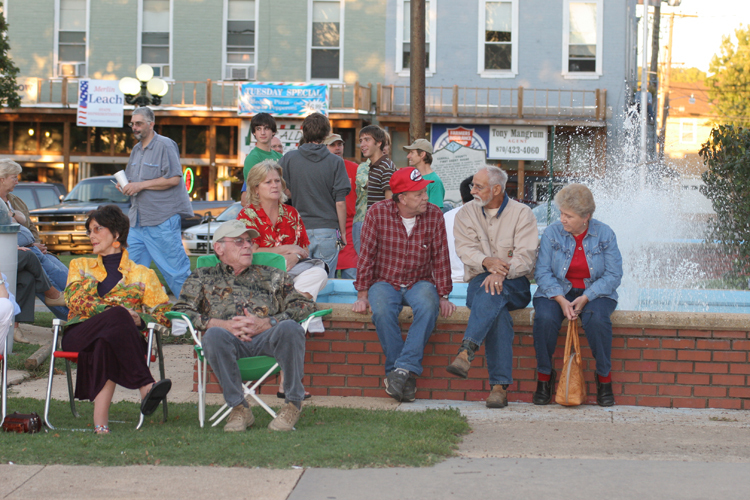 Kids and parents and grandparents alike make time to have fun at special citywide festivals held on the Historic Berryville Downtown Public Square. 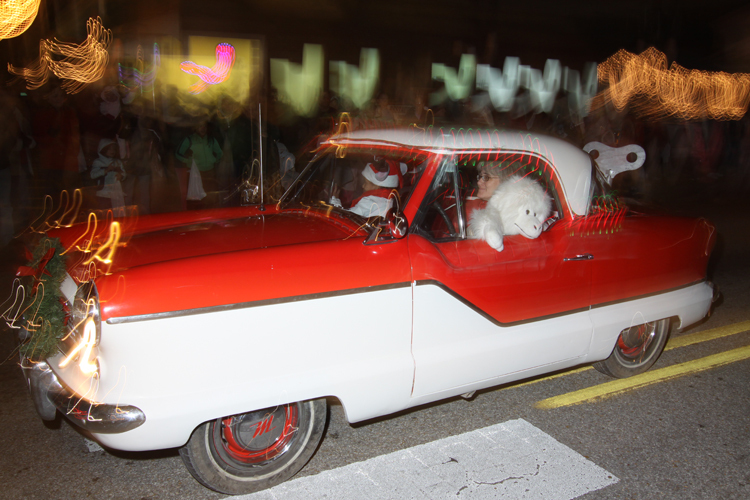 Collectible antique cars are a treat to onlookers at city parades around the Historic Berryville Downtown Public Square. This golf course opens its doors to golfers visiting the area. 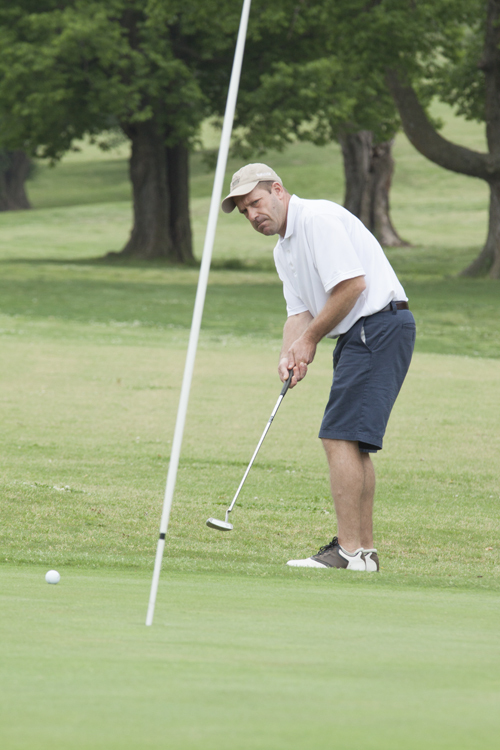 Open golf times are available at this course on the western edge of Berryville. Call for tee times. 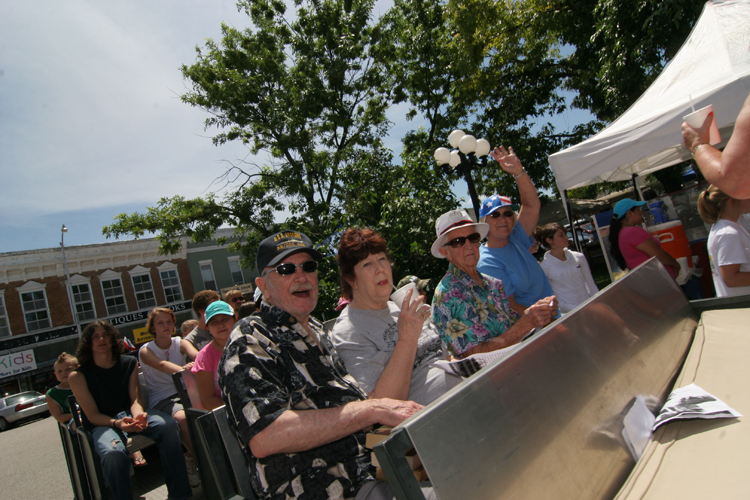 Decorative floats, marching bands, tractors and horse riders and more make up every old-fashion parade circling the Historic Berryville Downtown Public Square. This small museum features a huge treasure trove of one-of-a-kind American Wild West artifacts you are sure to enjoy. 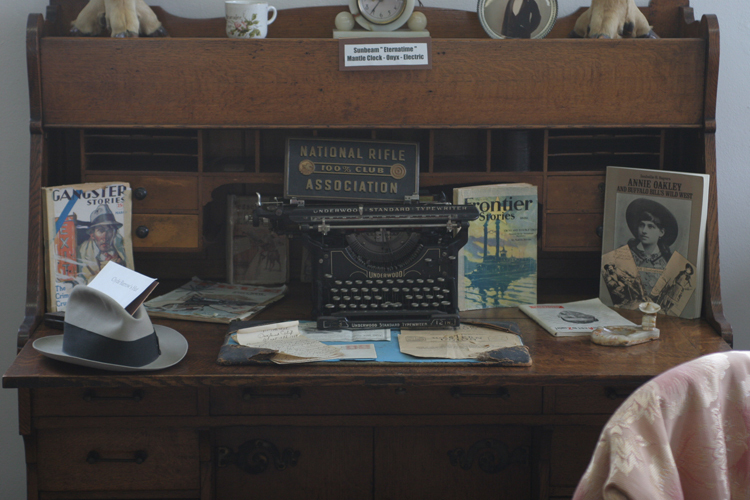 Over 600 guns and a vast number of other relics are on display for you to enjoy. Call ahead for hours. 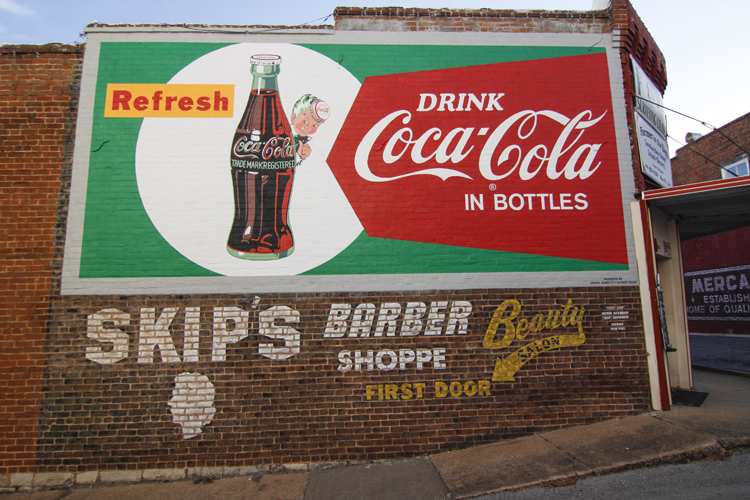 A local preservation group raised funds to hire local artists, who restored old painted advertisements on sides of buildings surrounding the downtown Berryville shopping district. 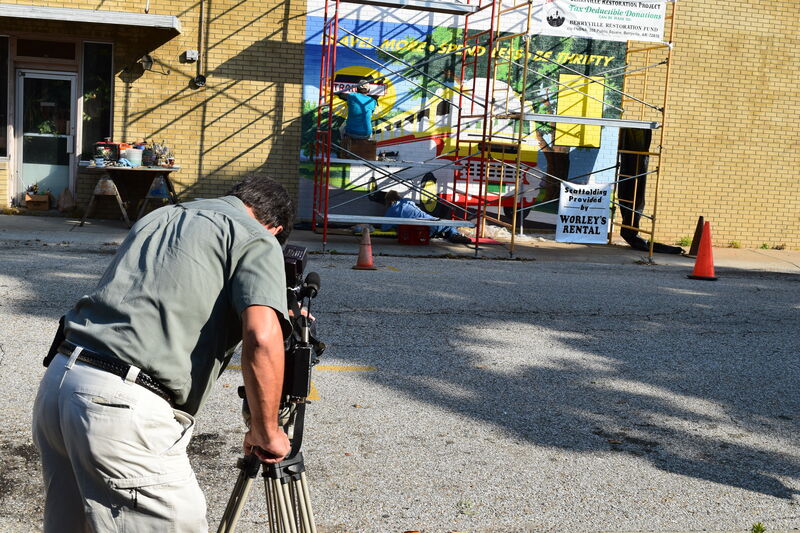 Popular with visitors and local alike, old painted advertisements on sides of buildings surrounding the downtown Berryville shopping district were returned to their former glory. 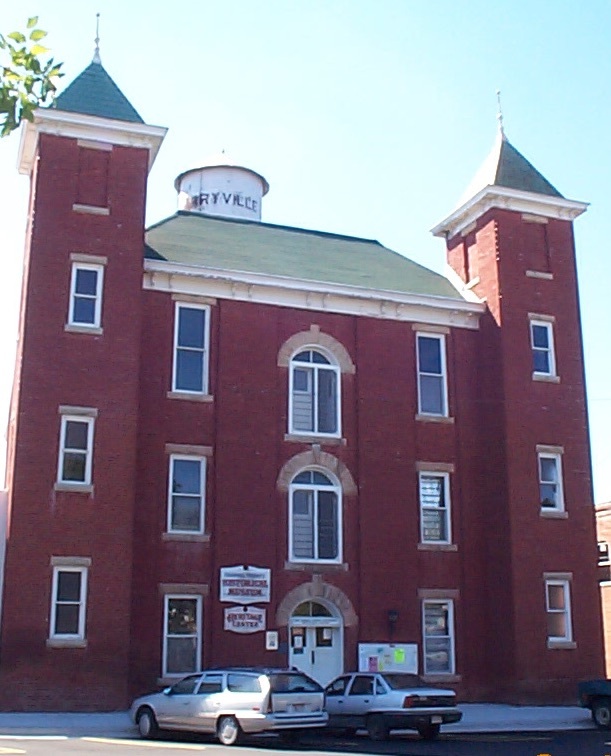 The Carroll County Heritage Center Museum is located on the Historic Berryville Downtown Public Square. 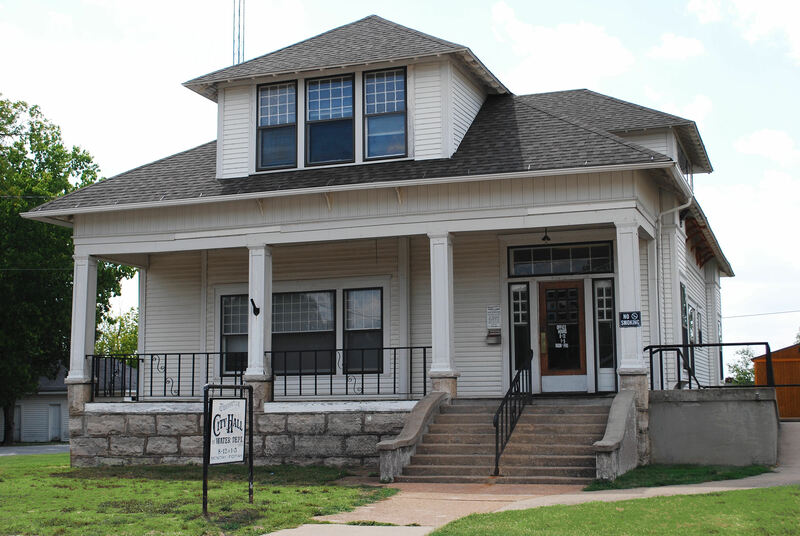 It houses precious pieces of Berryville’s unique past, telling the story of where local citizens came from. Included in the museum tour: Artifacts from the past of Berryville and Carroll County protected in the 1880 Courthouse. The building has three stories full of history, plus the building portrays striking twin towers making it tower over the downtown historic public square.